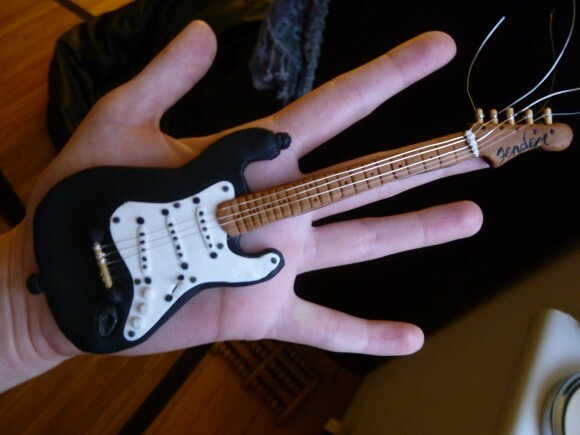 Miniature version of a fender stratocaster guitar. 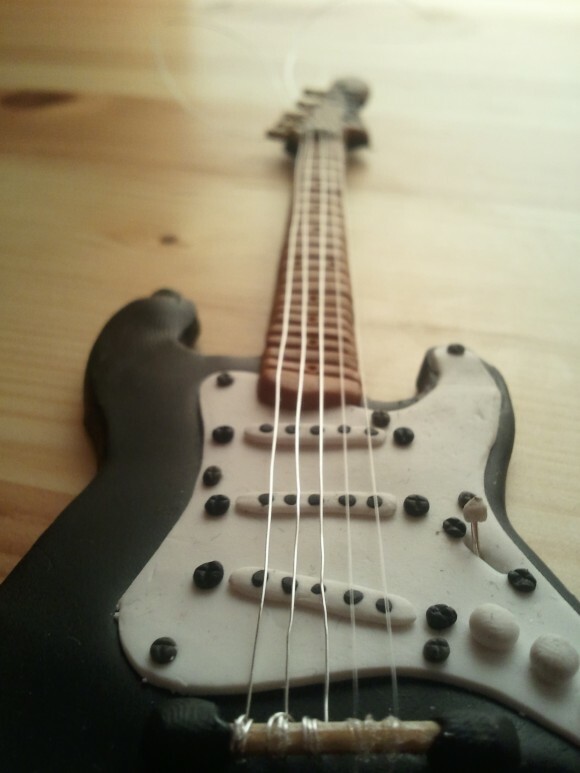 This project, together with Miniature Bass, was made for two friends of mine in a local band. 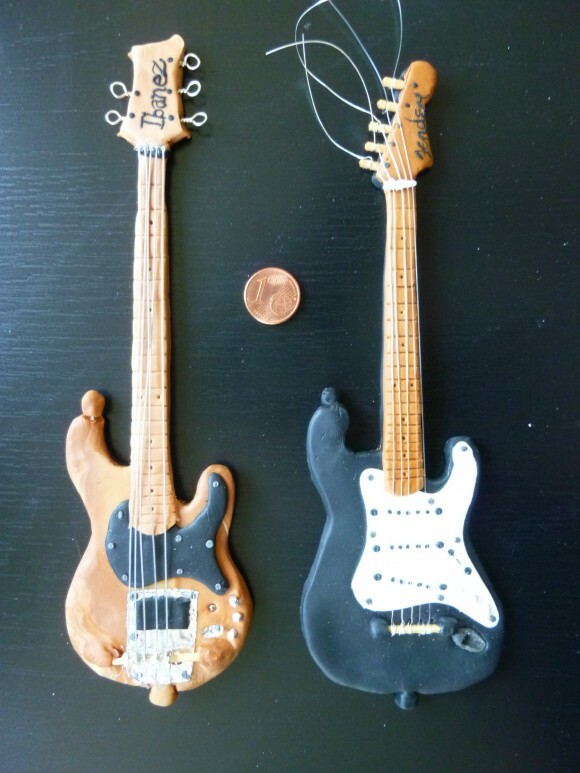 These are the actual instruments they play.